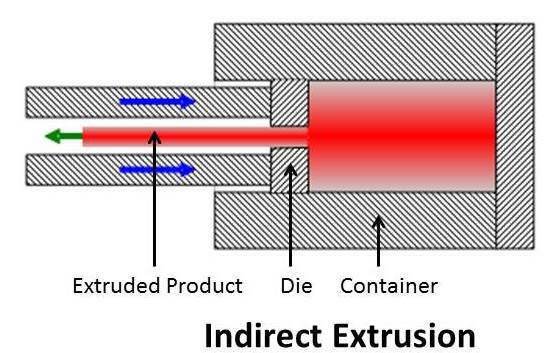 Extrusion is a metal forming process in which metal or work piece is forced to flow through a die to reduce its cross section or convert it into desire shape. This process is extensively used in pipes and steel rods manufacturing. The force used to extrude the work piece is compressive in nature. 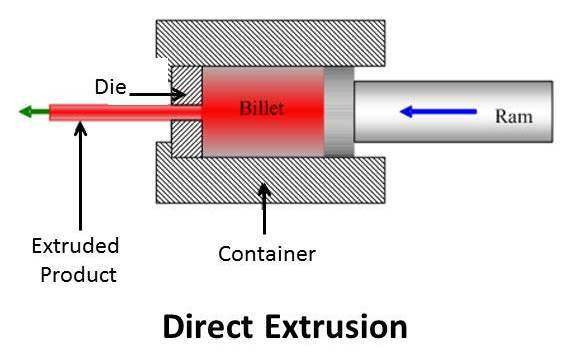 This process is similar to drawing process except drawing process uses tensile stress to extend the metal work piece. The compressive force allows large deformation compare to drawing in single pass. 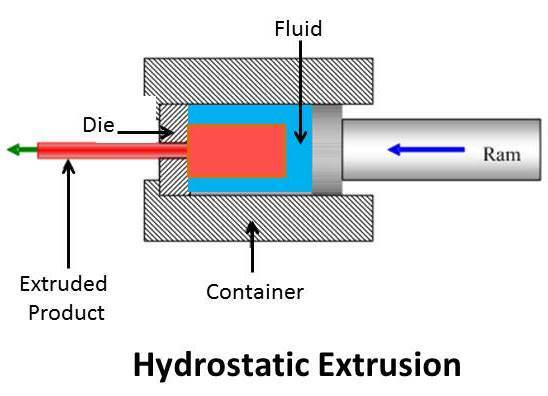 The most common material extruded are plastic and aluminum.